Yay for Friday! Am I right? This week has been a little on the crazy side because I have been flying solo and worked a few extra hours. So between getting the kids to school and everything else we have had to do, I am kind of exhausted! That’s okay though because the weekend is almost here and I can totally relax! 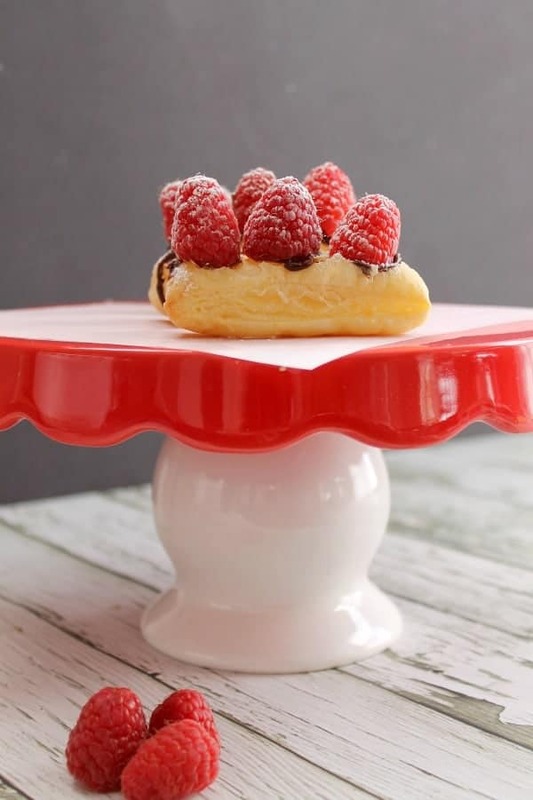 But first let’s talk about all things puff pastry, shall we! 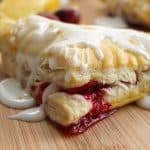 You know how much I like to make quick and easy desserts using puff pastry. Well a few weeks back there was this Volunteer Dinner going on at church for all of our lovely volunteers. I offered to make desserts. I knew immediately I wanted to do something with chocolate. Because you know, it’s chocolate! Well if you follow me on Instagram you would of see these bad boys slip up in my feed. I did a test run and they were fabulous! So I decided they were good enough for the dinner and I started baking. I ended up baking about 75 of these. The actual baking process went really fast because it only takes 10 minutes to bake the puff pastry. While I was baking them I made my ganache which was done by the time the puff pastry was. So the longest process for me was plating them at the church and making them look all pretty! 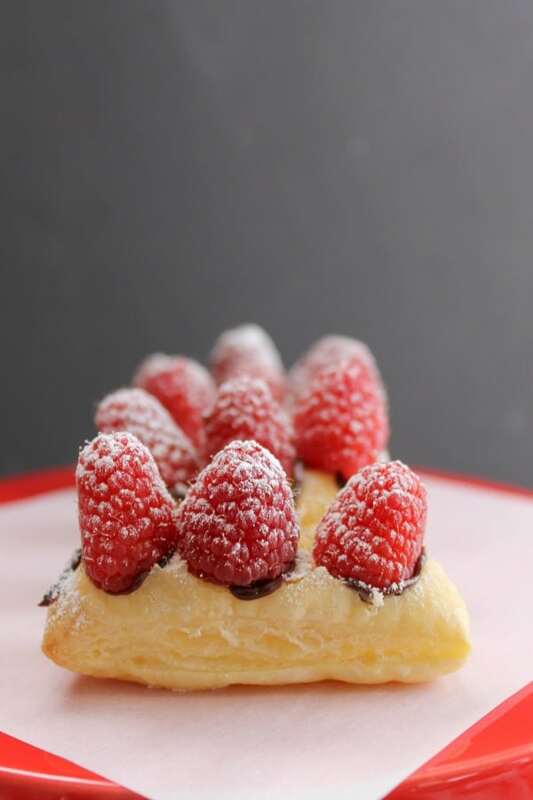 For you it would be so easy to make a small batch of 8 which is 1/3 of a sheet of puff pastry, 1 pint of raspberries and about a cup of ganache! Then violà! They are ready! ENJOY! Flour your work space and roll out puff pastry, cut into 8 rectangles. Place on cookie sheet and bake for 10 minutes. Set aside and allow to cool completely. In the meantime, add chocolate chips and heavy cream into a medium size bowl over a double boiler. Stirring continuously melt chocolate chips until smooth. When tarts are ready, pipe ganache over pastry. 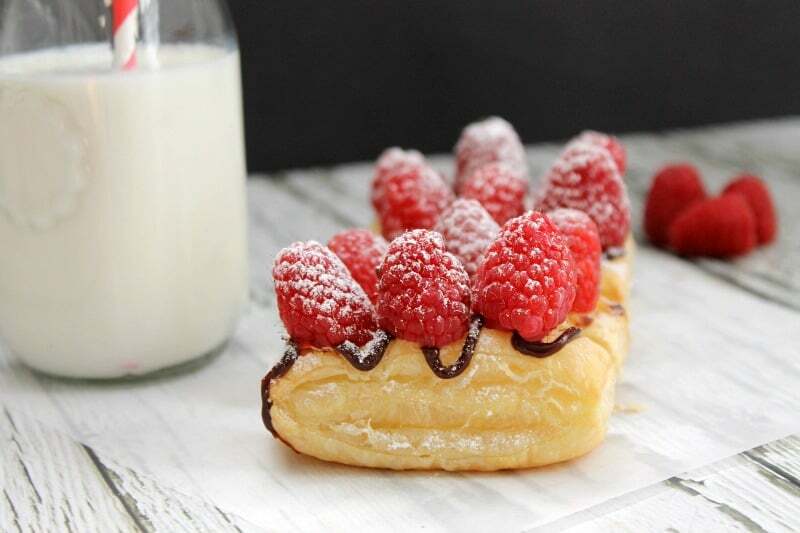 Top with 3 raspberries each. Wow! I love how easy and elegant these are! 🙂 Perfect for Valentine’s Day. These are full-on gorgeous! What a special treat to make for your volunteers! 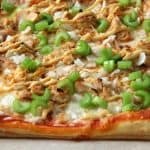 Love that they’re easy to make, too! These are so pretty! Loving that ganache topping! 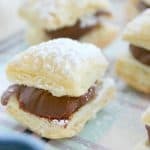 These are the most adorable little tarts! these are perfect for a crowd! Quick to assemble and everyone would love them! nicole @ I am a Honey Bee recently posted…Pancake Breakfast Sandwiches & a Breakfast Night GIVEAWAY! 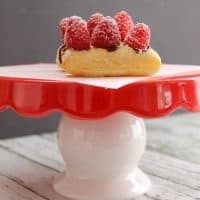 I love sweet and simple desserts like this! I adore these tarts so much! 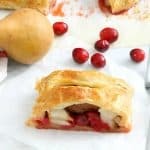 yup, I love puff pastry too!!! love these tarts! Nancy, these look so good! Perfect for relaxing after that hectic week. I get flying solo. Stinks sometimes. This is simply elegant. Perfect for afternoon tea or mother’s day breakfast!